The Litunga of Barotseland Lubosi Imwiko ii has praised the Zambia army that is heavily deployed in Western province (Barotseland) for ‘maintaining’ peace in the region. He said this Wednesday morning when Zambia army Commander Lieutenant General William Sikazwe paid a courtesy call on him at Limulunga palace. The Litunga expressed happiness with the presence of the Zambian troops claiming that they have brought peace in the region. The Zambia army has maintained a heavy presence in Barotseland since 2012 when the region through the Barotse National Council (BNC) accepted Zambia’s abrogation of the 1964 Barotseland Agreement that joined the former British protectorate of Barotseland and Northern Rhodesia to form Zambia. The 2012 BNC meeting was sanctioned by the Litunga but he was later compromised by the Zambian government. Some of the key leaders among them Linyungandambo leader Afumba Mombotwa are now in prison serving 15 year jail terms for attempting to implement the 2012 BNC independence resolutions. bia by intimidation and force. Most districts in the region have military camps. 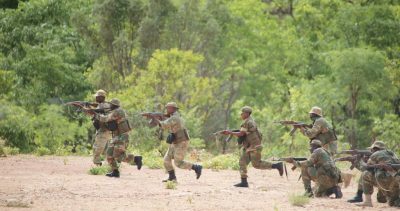 And General Sikazwe pledged that he will ensure that there is continued peace and security in the province while Western province Permanent Secretary Sibanze Simuchoba urged the Zambia Army and Zambia National Service (ZNS) to exploit the abundant timber resources in the region. SO IT MEANS LITUNGA DOESN`T CARE ABOUT HIS COLLEGUES SPENDING 15 YEARS JAIL SENTENCE??? HE MUST BE OVER-THROWN,HES NOT WORTHY HOLDING THAT SEAT!!! How stupid it is to promote exploitation of timber and create jobs in Lusaka while Barotseland wallows in poverty? Why justify environmental degredation? Go to school and learn about poverty before you make stupid pronouncements. If story is true then the Litunga is a big sell out. You cannot claim to be the one ruling your country if you have a big force propping you up because this means that it is the foreign power in charge. I do not understand why our leaders, traditional rulers included make rubbish pronouncements just to please those that govern from Lusaka. The heavy military presence in Barotseland are also spreading the HIV virus and who can be happy with that.